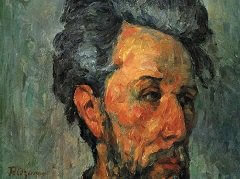 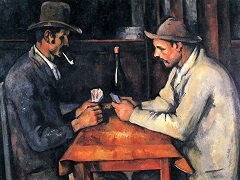 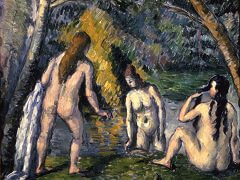 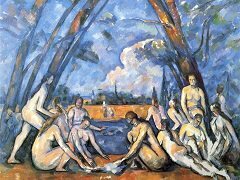 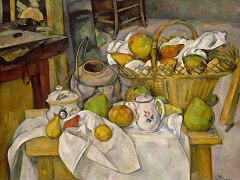 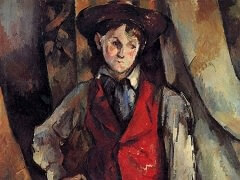 Cézanne's early works, executed in dark colours, were largely inspired by the old masters and by the paintings of Delacroix, Daumier and Gustave Courbet. 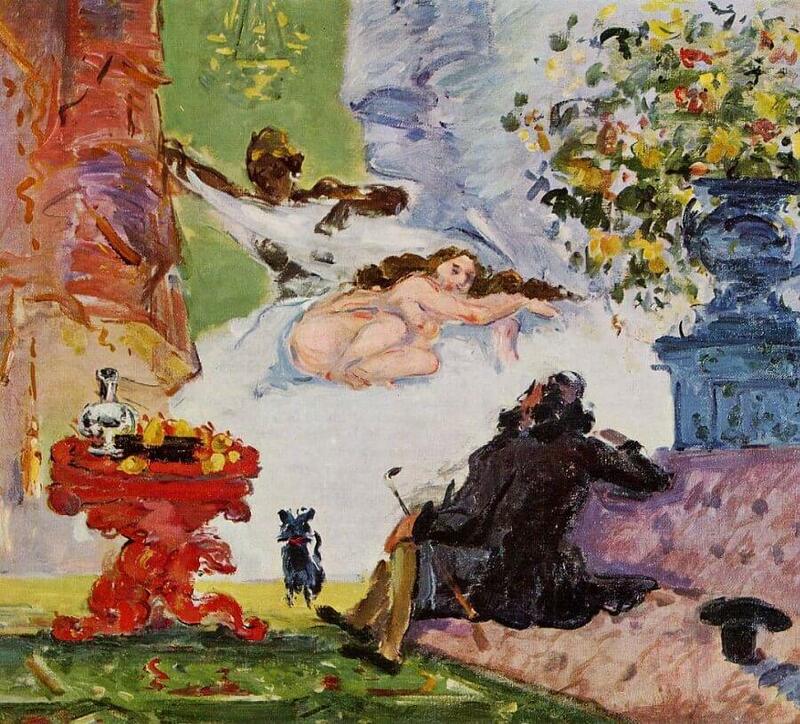 A painting from 1870 already featured A Modern Olympia (private collection) in response to the great painting Olympia of Édouard Manet that had caused such a scandal at the 1865 Salon. 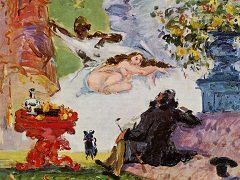 During the first Impressionist exhibition in 1874, this somewhat incredible evocation was scorned by both public and critics. 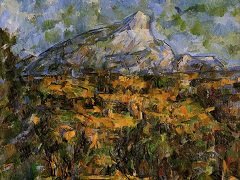 In the review L'artiste on 1 May 1874, Marc de Montifaud wrote: "like a voluptuous vision, this artificial corner of paradise has left even the most courageous gasping for breath.... and Mr Cézanne merely gives the impression of being a sort of madman, painting in a state of delirium tremens ".